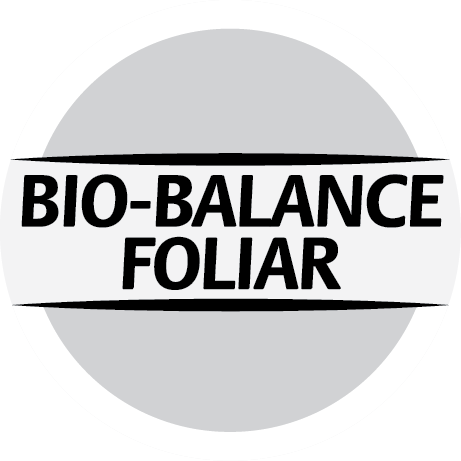 Bio-Balance Media is a soil drench treatment rich in humates, humic & fulvic organic acids and Potassium (10% K2O, dry weight). Contains mineral and nutrient ec/pH balancing properties. Improves plant Calcium, Magnesium and Iron uptake by chelating them into plant ready forms. Can be applied throughout the entire growth cycle for exceptional growth, on seeds and seedlings, until harvest. Why should I use Bio-Balance Media? 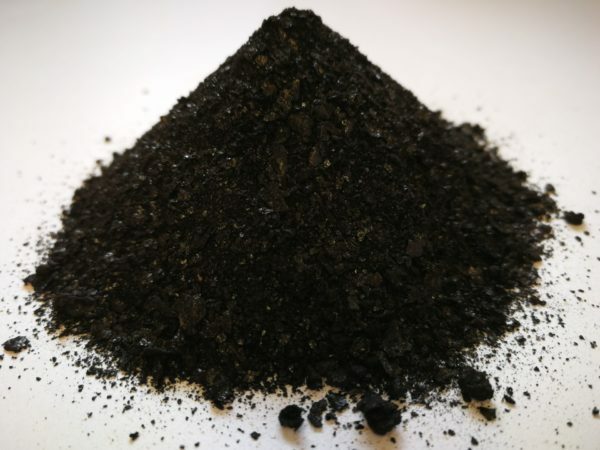 Naturally derived humic powder acts to improve the conditions of growing media, aggregating particles, improving capacity for growing media to hold air & water and to balance nutrients into plant ready forms, preventing plant vital nutrient leaching and protecting plants by restricting absorption of heavy metals/toxins through plant root systems. Humates, Humic and Fulvic Acids are a major part of soil organic matter and can be used to stimulate beneficial soil fungi populations, increase soil cation exchange capacity and provide organic and mineral plant nutrients for improved plant growth. Bio-Balance Media is suitable for all plant types, grass, flora, trees, shrubs and vegetables. When should I use Bio-Balance Media? Bio-Balance Media can be applied across the growing season to harvest, at least once every 28 days. It can be applied more frequently if desired or in heavily managed systems or sandy soils. Bio-Balance Media can be used as a stand alone product, or with any other nutrient, organic or chemical, as both a soil drench or a foliar application. Outside, Bio-Balance Media can be a useful gardening tool to assist plant growth in cold, low light conditions, or to limit stress caused by drought and high heat. It can also assist in the prevention and management of soil compaction. The organic acid in Bio-Balance Media carries large amounts of Oxygen and works well in all spray and drip systems when managed correctly. Bio-Balance Media helps to scavenge free radical ions which are a root cause of soil compaction, pH imbalance and root stress in managed systems as well as in nature. Bio-Balance Media can be applied throughout the season or as required as a plant tonic and is best applied once soil temperatures reach 5C/41F. How do I use Bio-Balance Media? Bio-Balance Media is a powerful product, it should be pre mixed and tested before adding to tanks and sprayer systems, standard for all inputs. When using in spray or dripper systems, be sure to filter out any undissolved sediment to prevent nozzle blockages. The rate of application is 1g per 4L (1/5 tsp per 1.2 gallons US). Bio-Balance Media can be mixed with all Better Organix nutrients and bio products, it can also be mixed with inorganic nutrients but should be tested as best practice, due to its high alkalinity. Solutions should be drenched through your chosen potting soils and/or coco/hydro mixes. Apply ensuring an even coverage as a foliar or drench. Always pre mix Bio-Balance Media in warm water to aid the dissolving process, remove sediment before adding to spray systems or drip lines. It is a natural product and some of it may not dissolve so should be noted for best practice. 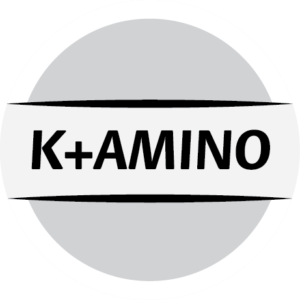 Tip: Bio-Balance Media is very effective when combined with K+Amino at a ratio of 5 parts BBM to 2 parts of K+Amino – This notably improves root structure and so overall nutrient uptake. It can be combined at this ratio with kelp or mixed as a part of a tea application to super boost the effects of itself and the additives. 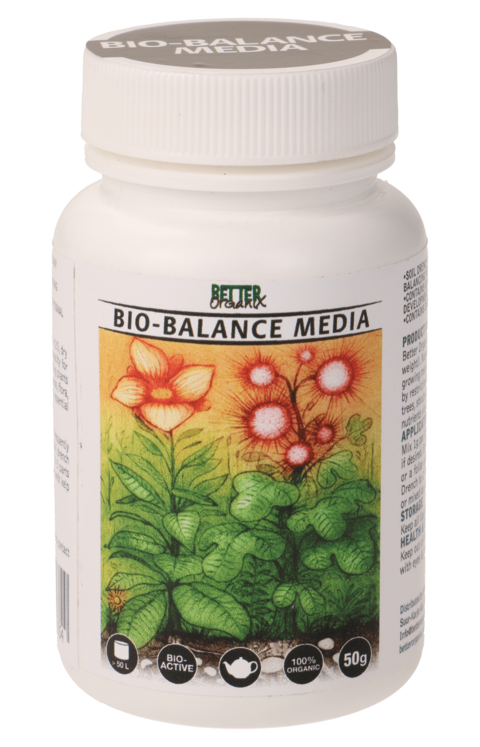 What media types are suitable for Bio-Balance Media? Bio-Balance Media can be used in all media types though it is particularly well suited to alkaline soils. What is the pH range of Bio-Balance Media? 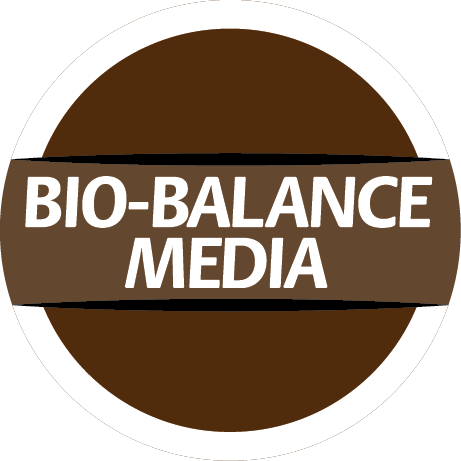 Bio-Balance Media is the product of choice for alkaline media preferences. In its’ raw state pH is 9-10, as a result, care should be taken when using as a soil drench on acid loving plants. A better option would be to use Bio-Balance Foliar in such instances.